For those of you who will be at Walt Disney World on Christmas Day and wish to attend religious services, there will be options for guests on property. The services will be offered at Disney’s Contemporary Resort, located in the Fantasia Ballroom at the resort. Since all of Walt Disney World will be extremely busy and crowded around Christmas, the parking at the resort will be restricted only to resort guests. This means that guests won’t be able to drive over and park at the resort for the services. If guests are staying at a resort where the monorail or boat service goes to Disney’s Contemporary Resort, it would be best to utilize the transportation. 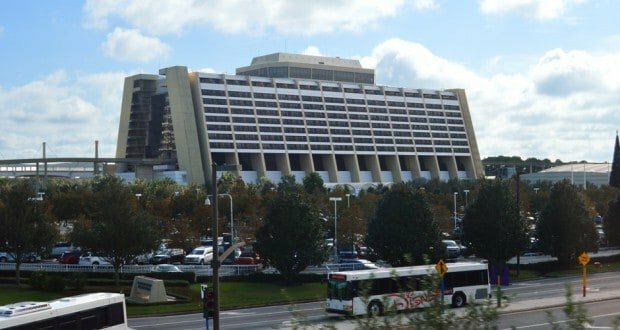 Guests staying at other Disney resorts should take transportation to Magic Kingdom and then either bus, monorail, boat or walk via the walkway over to Disney’s Contemporary Resort. The monorail and boat transportation is set to start running at 7 AM for guests. We would like to wish you all Happy Holidays and Merry Christmas! We hope that all of you out there that will be at Walt Disney World will have a fantastic Christmas Day and the most magical Christmas ever!